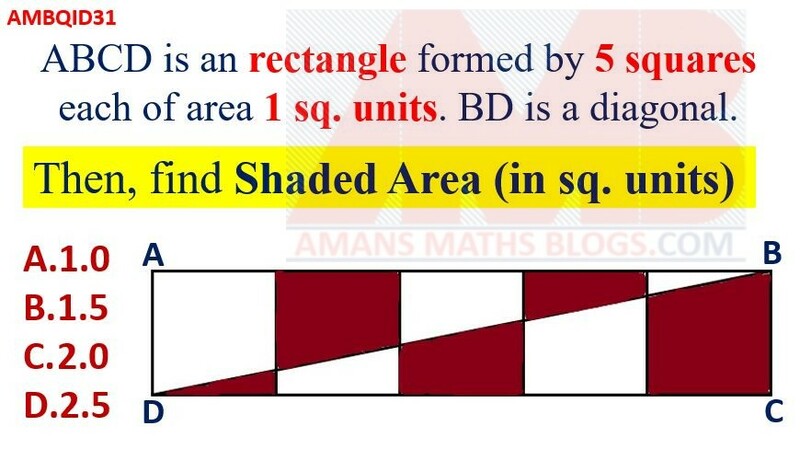 ABCD is a rectangle formed by 5 squares each of area 1 sq. 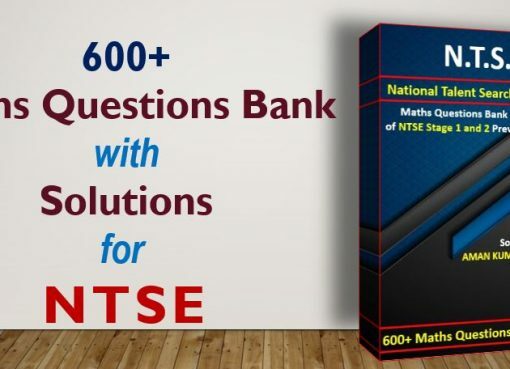 units. 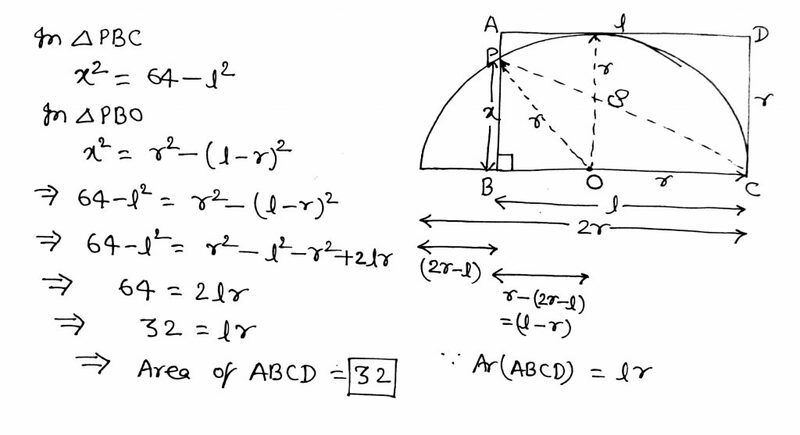 BD is a diagonal. 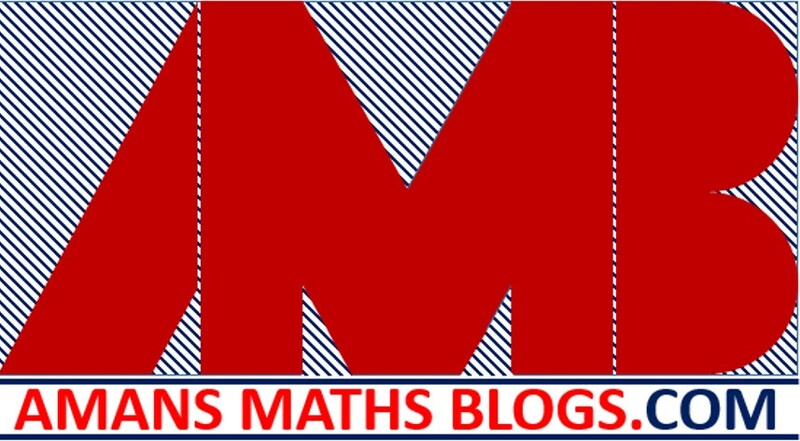 Find the shaded area (in sq. units). 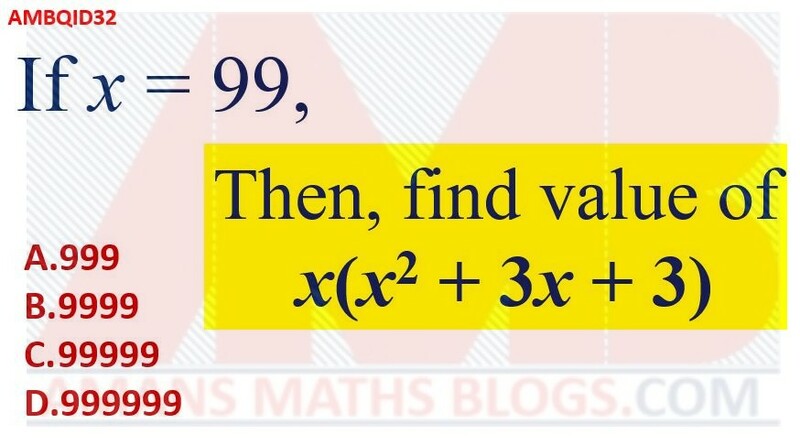 If x = 99, then find the value of x(x2 + 3x + 3). 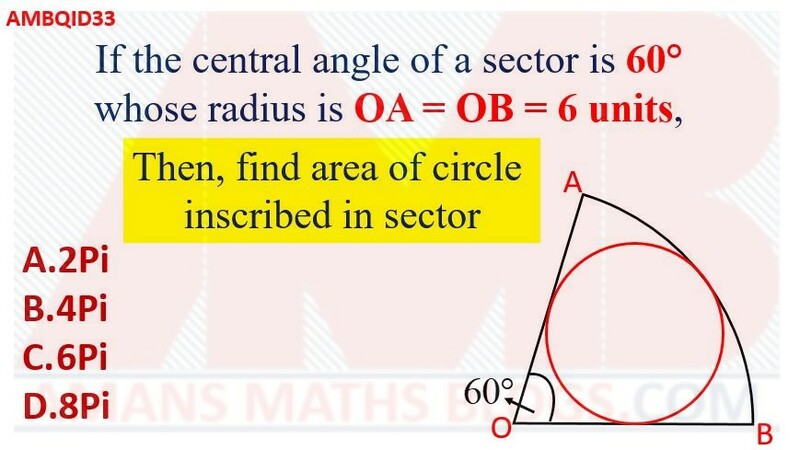 If the central angle of a sector is 60 degree whose radius is OA = OB = 6 units, then find the area of circle inscribed in a sector. 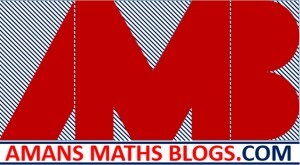 ABCD is a rectangle. 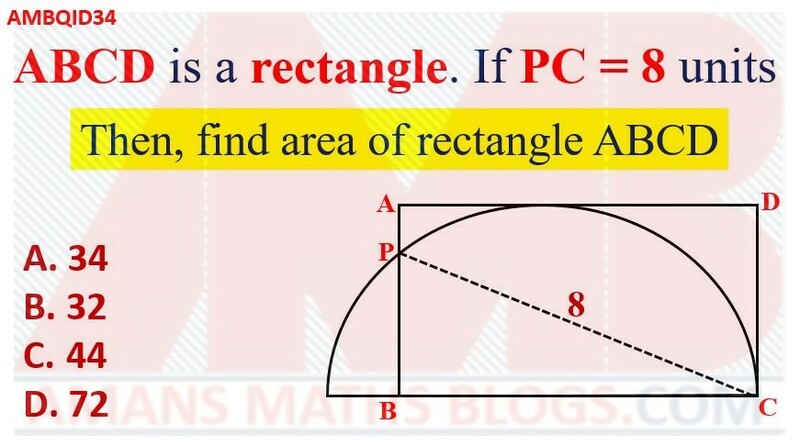 If PC = 8 units, then find the area of rectangle ABCD.